Keep it modern with 2” Thick Stair Treads. These mid-sized treads, perfect for a variety of applications, are crafted from the finest stain-grade wood, detailed with a subtle ¼” roundover on each edge, and stained or finished to your specifications. Sturdy and eye-catching, pair these thick treads with Viewrail cable railing to accentuate your contemporary stair design. Our 2” Thick Stair Treads add a modern, strong appearance to Traditional Stair Systems. To mount thick treads on traditional stairways, be sure to read about Returned Edges on the Specifications tab above. Floating Staircases may require specific notches for mounting thick treads, depending on the system you use. We are happy to accommodate requests for notches, grooves, or other special indentations to help the mounting process. Give us a call for more details. Do you have a page that sows a picture of all your thick stair tread wood types? I can’t choose a wood type if I can’t see it. 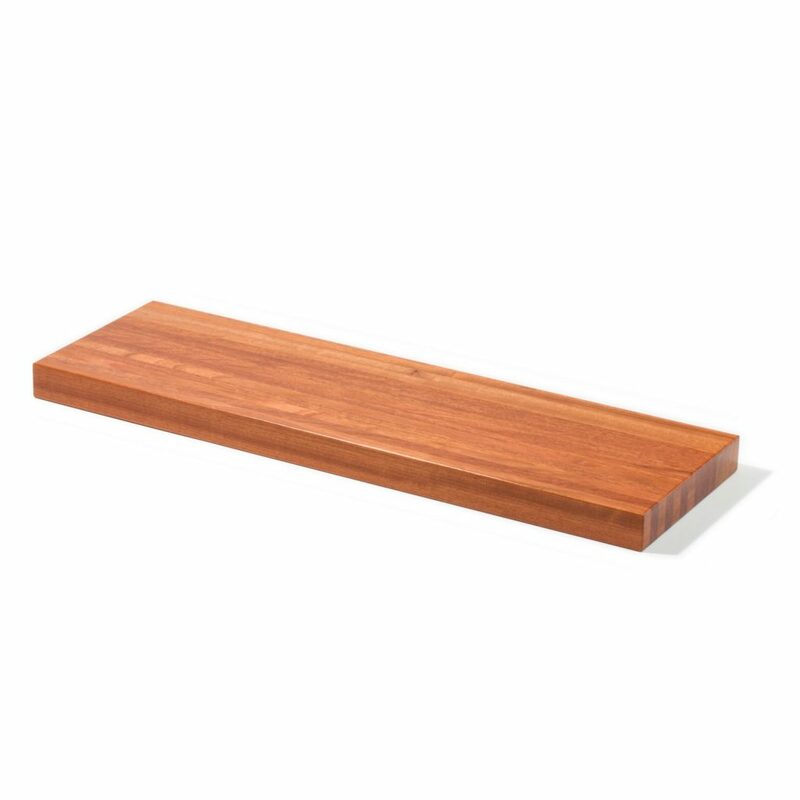 If you look at any of our wood stair parts, there should be a thumbnail image of the wood species you currently have selected for that product. You can expand that image by clicking on it to get a better idea of the grain and pattern of that species. 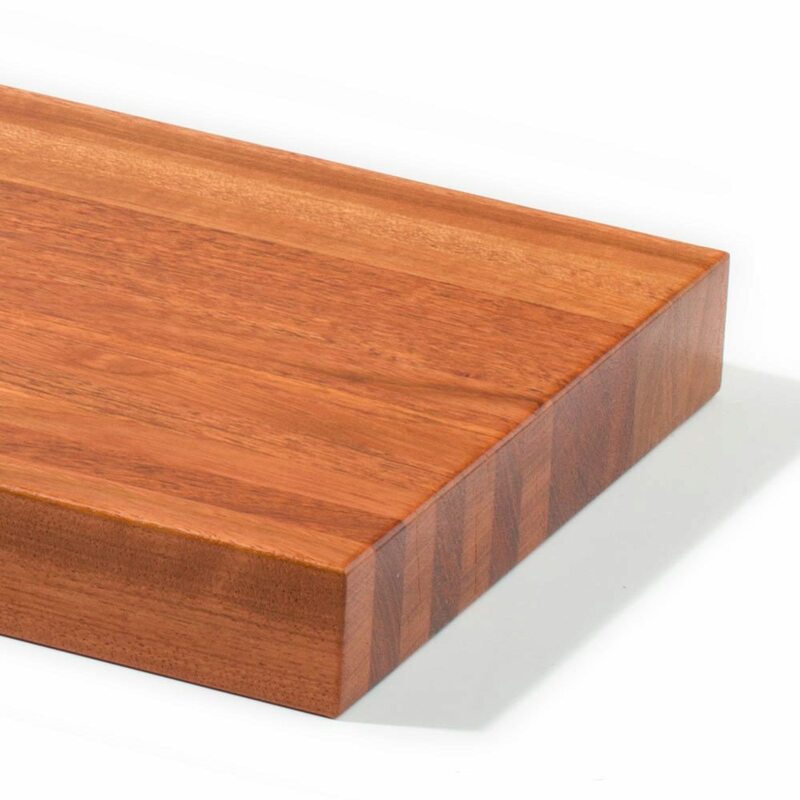 You could also take a look at our Wood Species Selection page to get some helpful tips on picking the right species for your project. How much does a 2″ thick, 42 inch oak tread weigh? Thanks for the question Kim. That’s going to vary a little, but it will be in the 20-30 pound range.